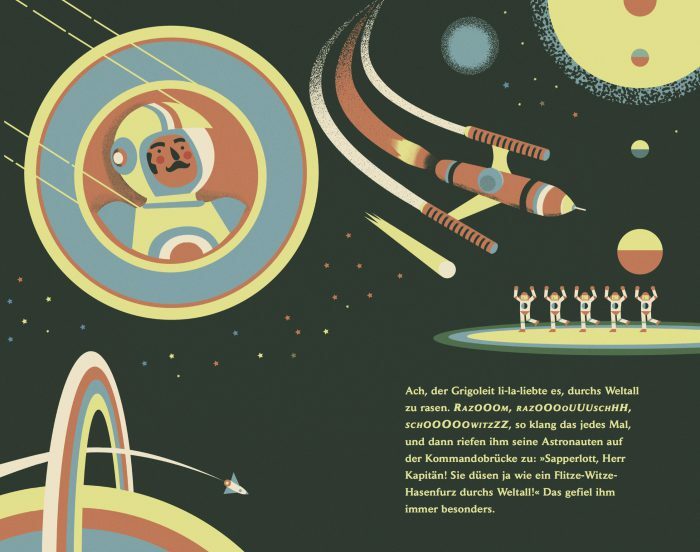 A cool cosmic bedtime story with illustrations reminiscent of 50s comics! 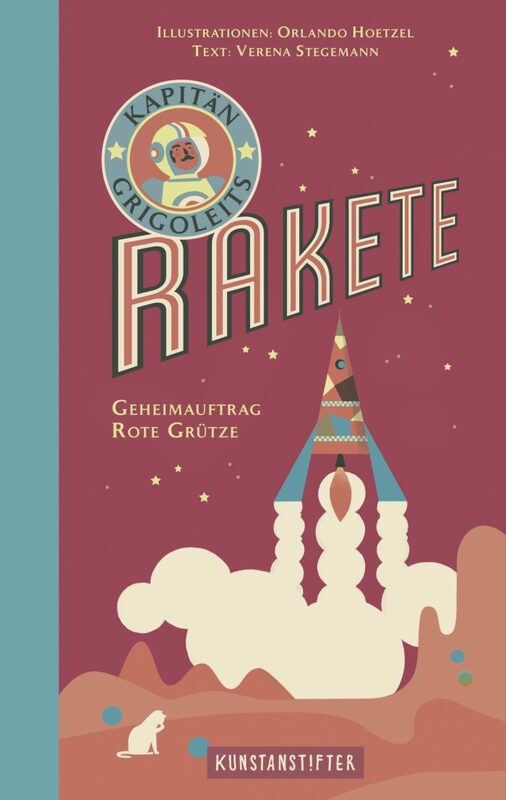 The dolce vita of the cats living on planet Red Fruit Jelly is suddenly interrupted when Captain Grigoleit and his men launch their new high-speed rocket into outer space, leaving the cats behind open-mouthed, marmalade-stained. The astronauts jet off, passing through gooseberry rains and past elder comets. 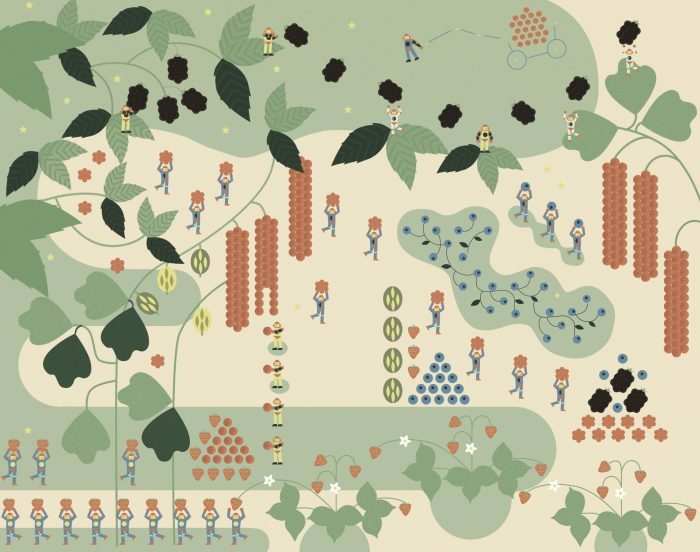 They have a berry-sweet mission to accomplish: the top secret red fruit jelly command! 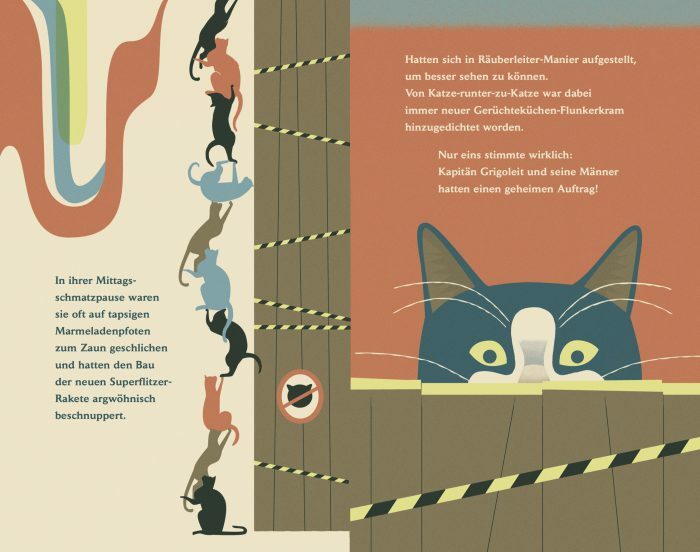 This is our fourth project realized by the successful author-illustrator team Hoetzel – Stegemann.